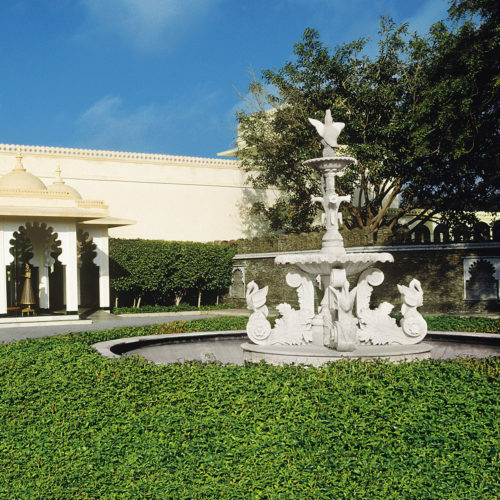 Set in forty-three acres of lush green landscaping, Trident, Udaipur is located on the banks of the picturesque Lake Pichola and overlooks the tranquil Jag Mandir. Located in close proximity to the cultural and commercial hub of Udaipur, the hotel is a ten minutes drive from the city center. 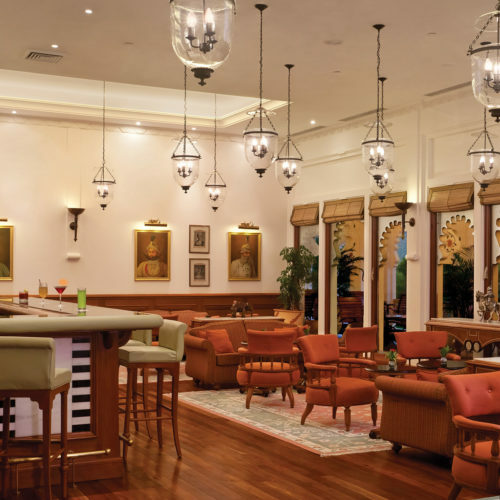 The well-positioned hotel, with its exquisite interiors, fine dining options and personalised service is a great choice for travelers. 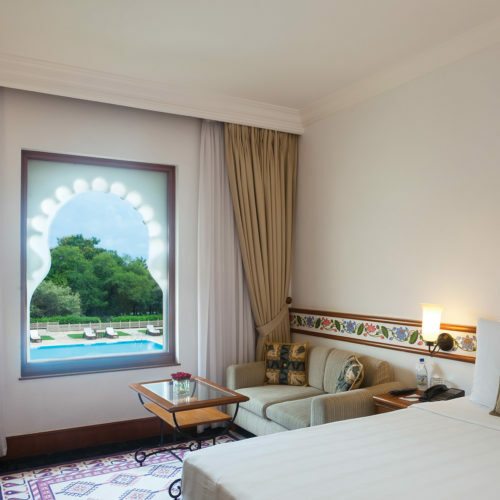 The 137 rooms and 4 suites are furnished in soft shades of beige and cream with traditional artefacts, reflecting the elegance and charm of this regal city. 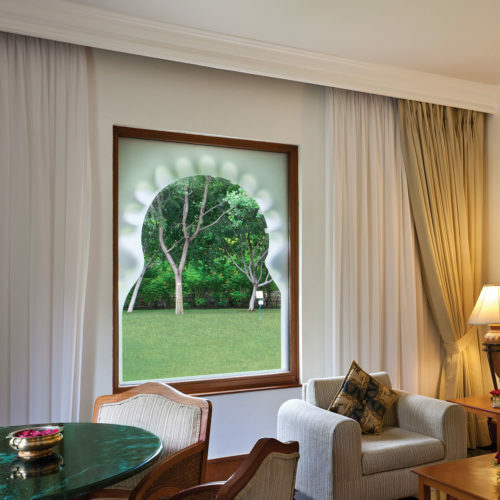 The hotel is well suited to families and is even home to a 150 year old wild life conservatory within the premises. There is an excellent spa, large swimming pool and daily yoga available for when you just want to relax. 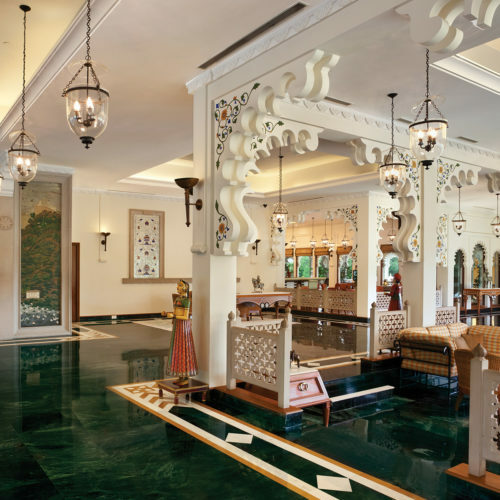 Trident, Udaipur provides a perfect base to explore the fabled city of Udaipur, acclaimed worldwide for its beautiful lakes, medieval palaces and colorful bazaars.